Scope: The Allele Building (“Phase II”) combined lots with the adjacent property, removed an existing service garage on the property and replaced it with a six (6) story steel frame addition to the existing condominium building known as the Allele Building (“Phase I”). “Phase II” consists of thirty (30) new condominium units, one (1) new commercial unit and thirty (30) off-street parking spaces underground. 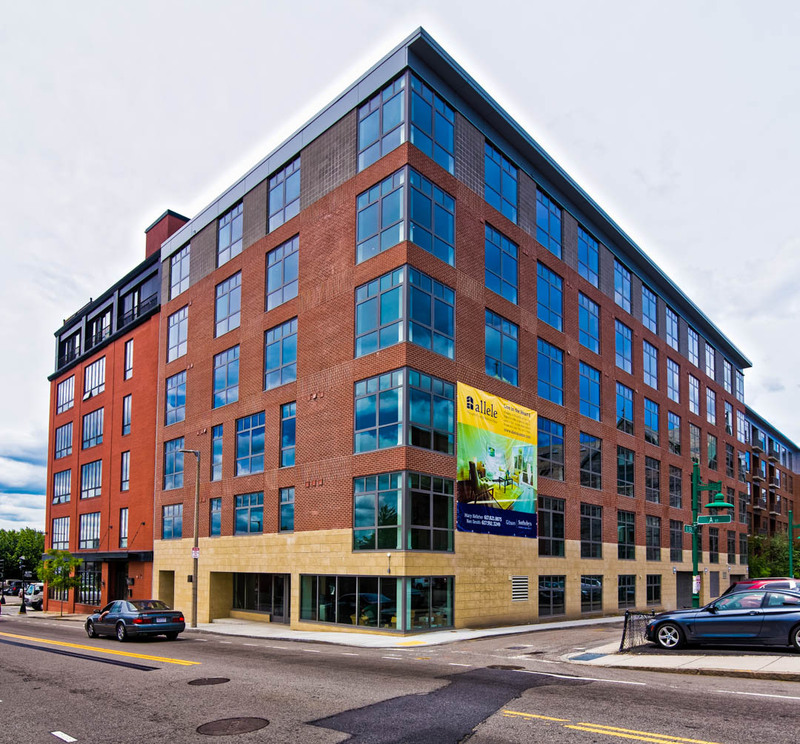 The Allele Building (Phase II) was designed to architecturally complement the neighborhoods character and seamlessly combine with the existing condominium building (Phase I) built in 2008. New roof decks provide outdoor space for the residents and help to mitigate the lack of usable outdoor space in the area. The Phase I building was designed to receive this project in Phase II. As such, the Phase Il project seamlessly integrates with Phase I’s existing amenities like a centralized trash chute, trash compactor, recycling rooms, and hot water tanks. The fire suppression and alarm system also ties directly into the systems in place for Phase I. The surrounding neighborhood has undergone significant growth and this project will help to fill in one of the few remaining areas in need of redevelopment. Further, with the addition of new dining and retail options on West Broadway, the residents of the Allele Building project will help sustain and contribute to the burgeoning local economy in the area.